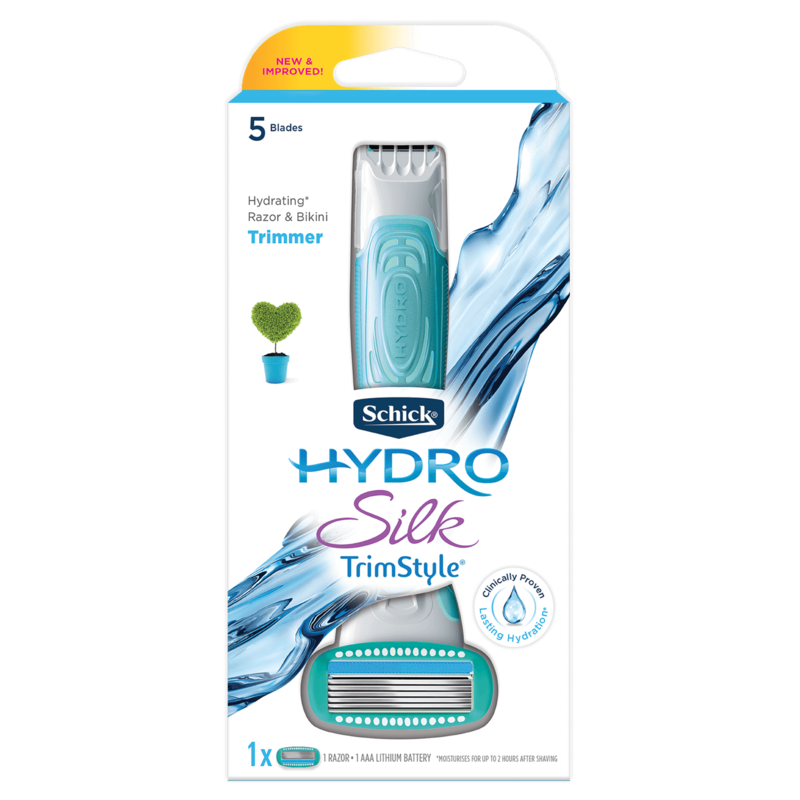 Schick Hydro Silk® TrimStyle® includes a hydrating* razor and bikini trimmer in one! 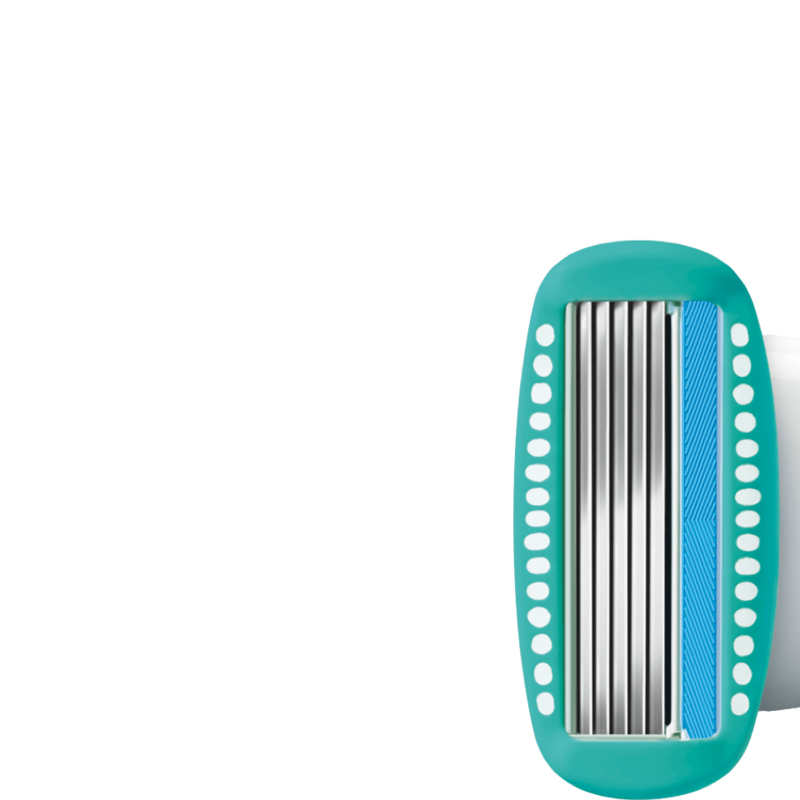 On one end the razor is formulated with water-activated Hydra-Renew™ serum with shea butter. 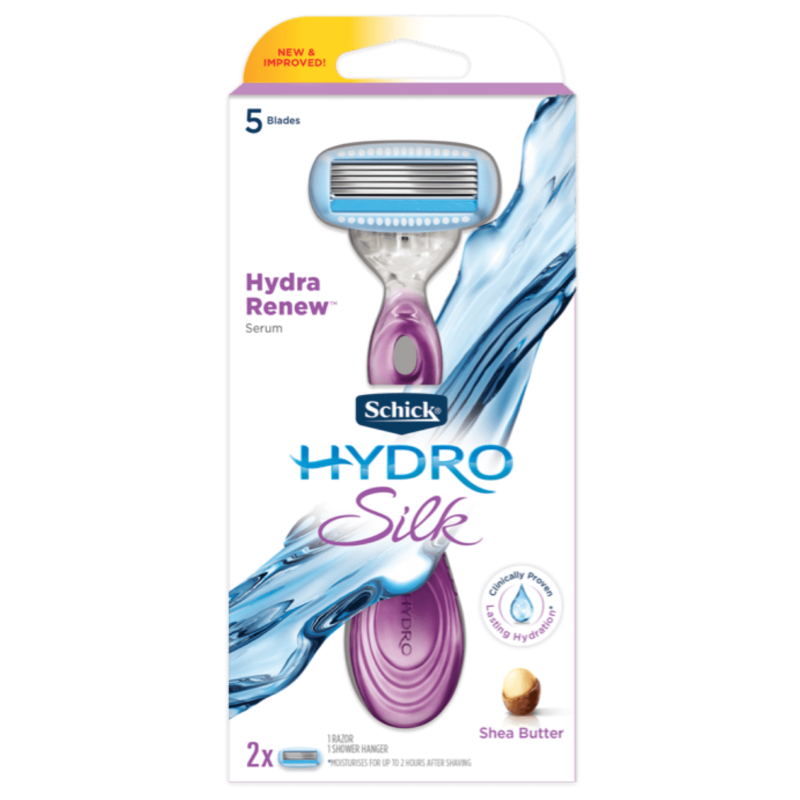 This moisturising serum is clinically proven to provide lasting hydration for up to 2 hours after shaving. 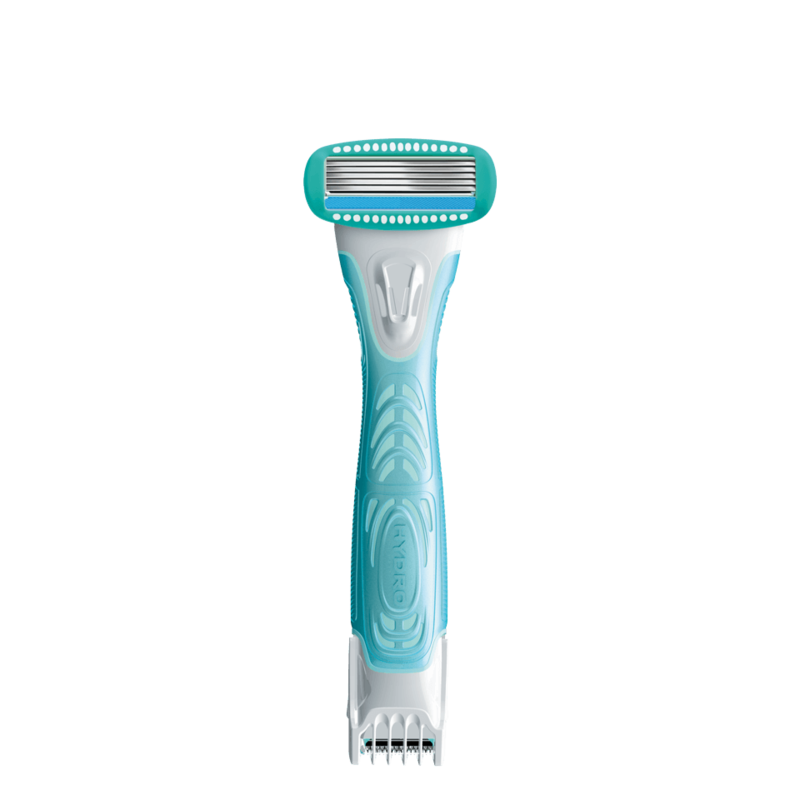 The other end is a waterproof bikini trimmer that can be used in or out of the shower for convenient bikini maintenance. 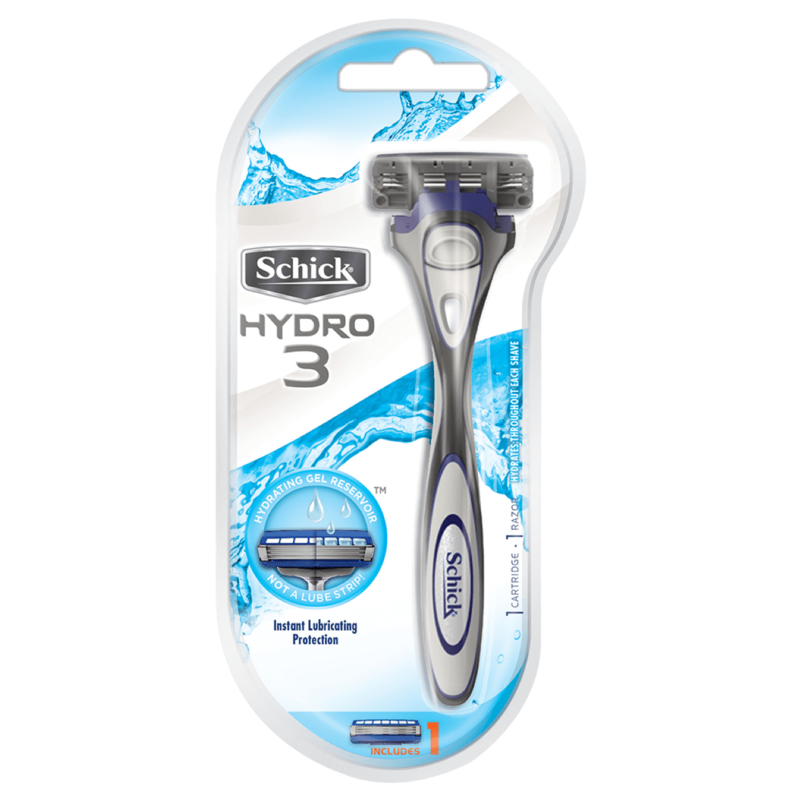 Combining the uniquely designed Schick Hydro Silk razor with advanced trimming technology, this razor shaves, trims, and transforms with just the flip of a handle. 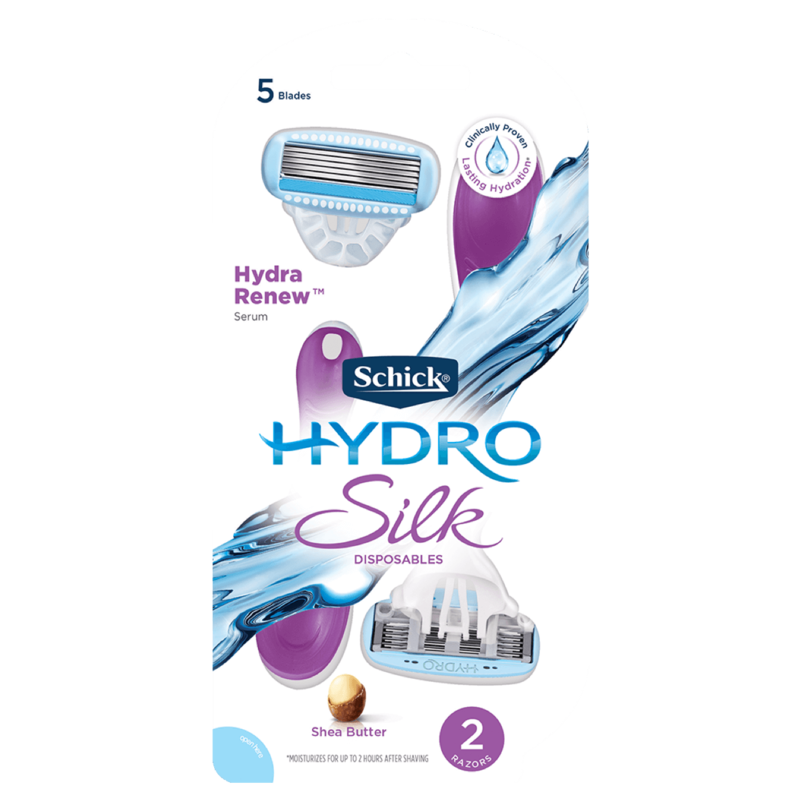 Pair with Schick Hydro Silk Refill cartridges. 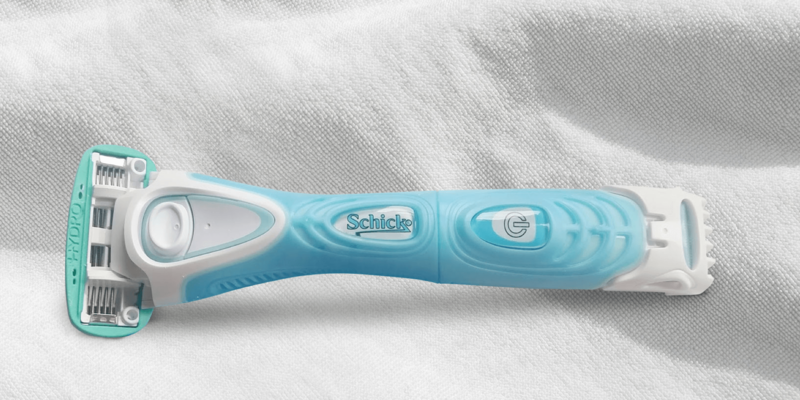 Built-In Waterproof Trimmer that can be used in or out of the shower for. 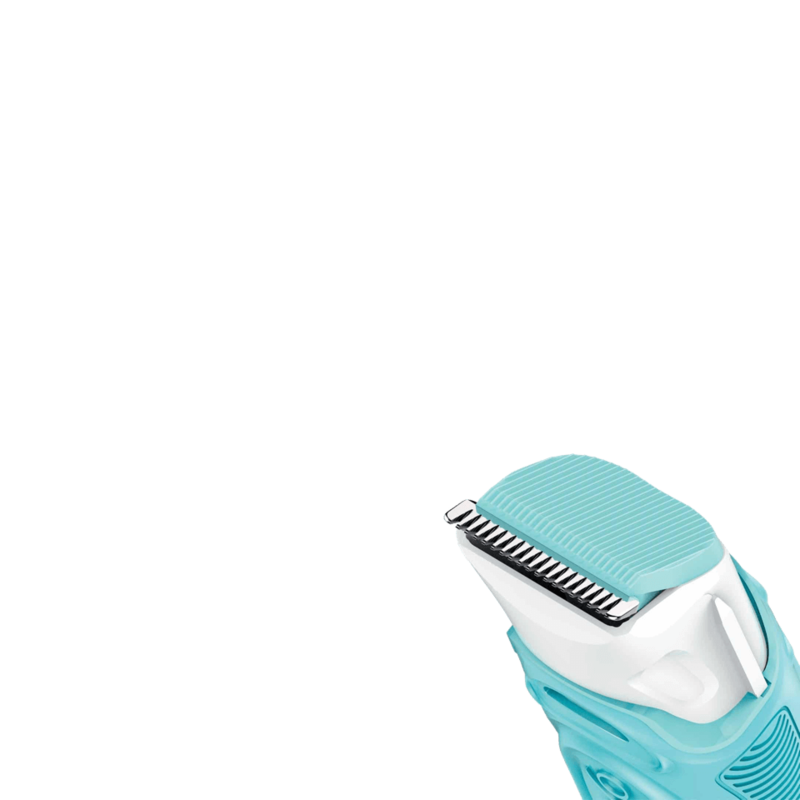 The adjustable Comb has 4 settings for a customised trim length and clean look and feel. 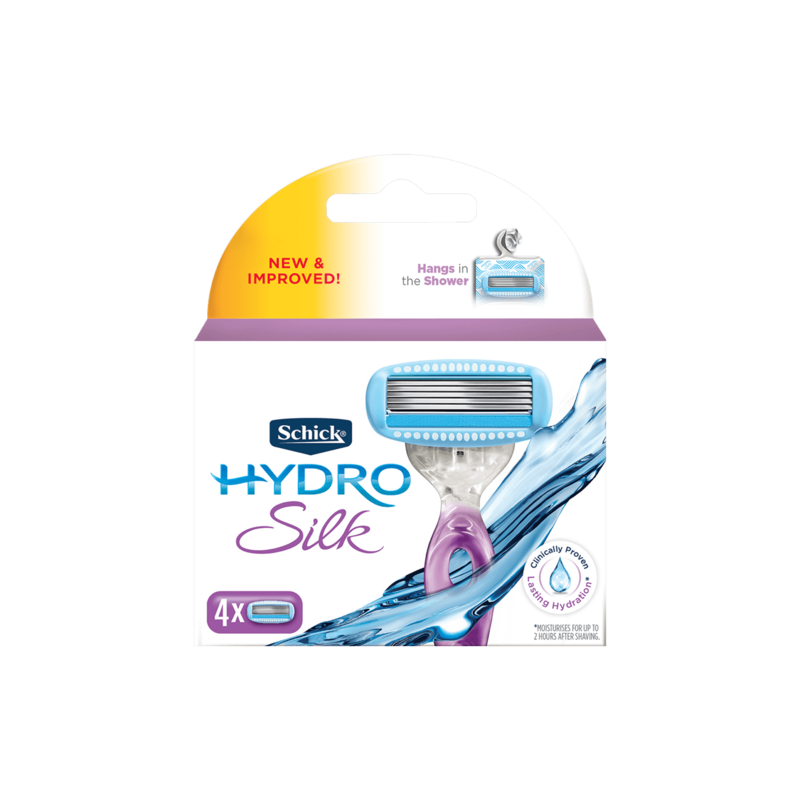 Hydrating razor and waterproof bikini trimmer in one convenient product. 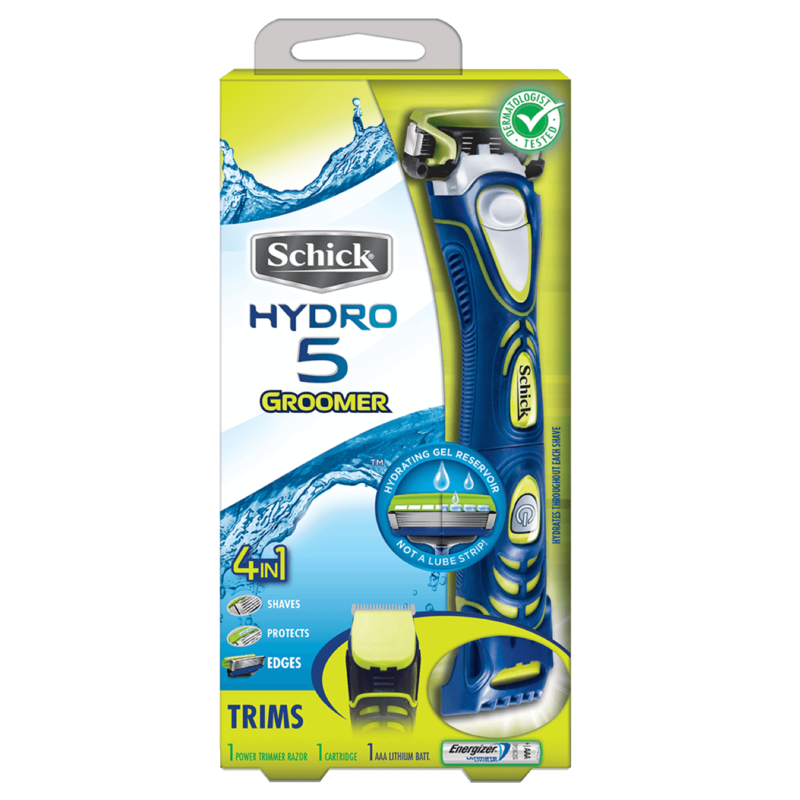 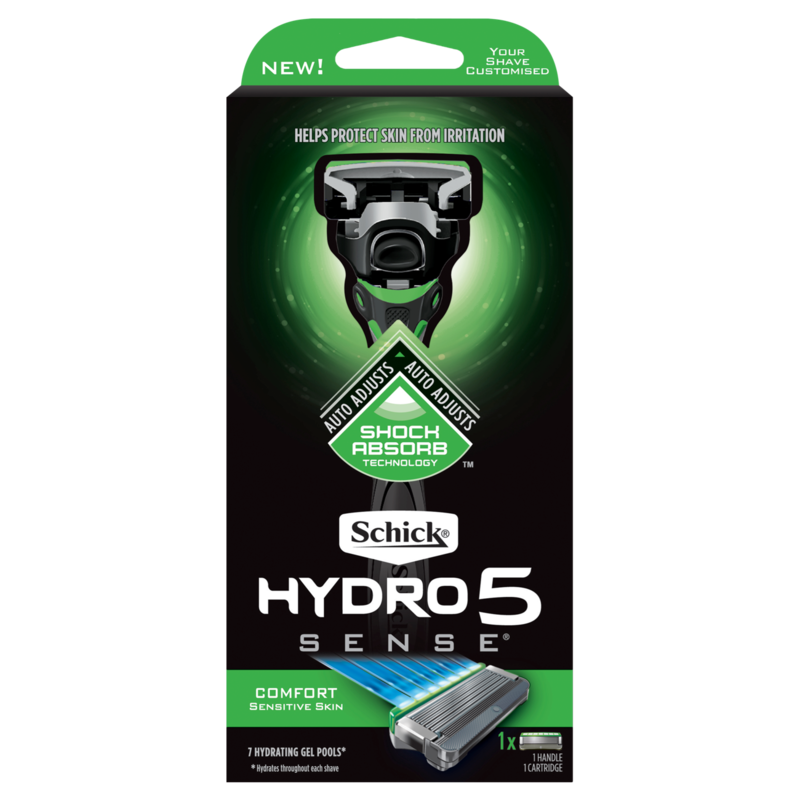 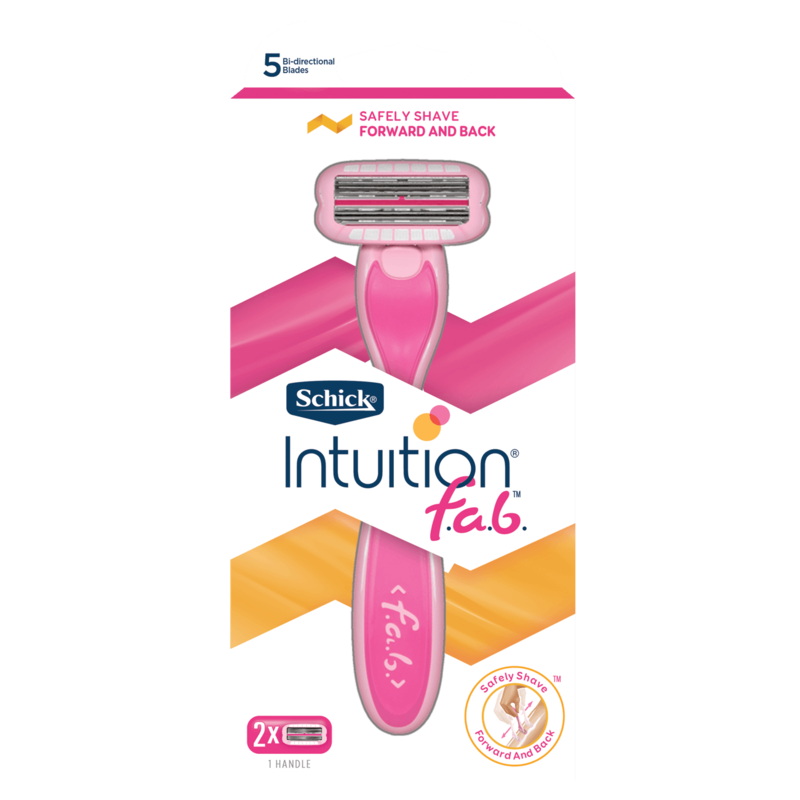 Schick Hydro Silk Trimstyle includes a hydrating razor and bikini trimmer in one! 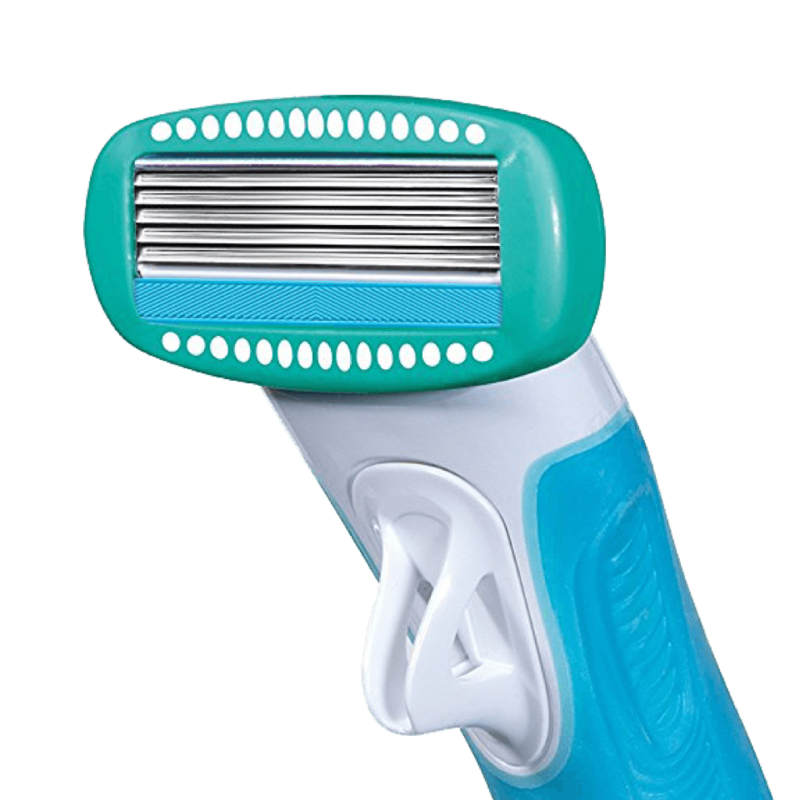 Perfect for all your shaving and bikini maintenance needs!